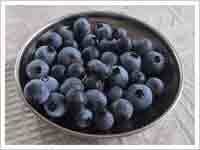 Do you want to know all about Antioxidants? You may be wondering why we need antioxidants in our diet and what their role is.This article will answer some of your questions and, hopefully, the rest of them can be satisfied by browsing the materials available in this website. Fruits and vegetables with the richest and darkest colors contain the most antioxidants. Eat raw for the highest concentration and best absorption. The processes which occur within the human body require oxygen on a continual basis This life sustaining oxygen creates oxidants - substances which cause damage to our cells which can lead to aging and chronic disease. Oxidants, or "free radicals," are also caused by pollution, including cigarette smoke and alcohol and by exposure to the sun. Anti-oxidation agents, reduce the dangerous effects of these free radicals by binding them together and acting as a straight jacket to reduce their destructive power. They can also help repair cell damage that has already occurred. Naturally occurring anti-oxidants in the body include Superoxide Dismutase, Catalase, and Glutathione. These three substances act to destroy and eliminate free radicals in the body. Superoxide Dismutase changes their structure, breaking them down into hydrogen peroxide. Catalase then breaks down the hydrogen peroxide into water and tiny oxygen particles. Glutathione detoxifies the body and bonds the different toxins together into waste matter which can be eliminated from the body. Other anti-oxidant agents are found in fruits and vegetables and other foodstuffs. 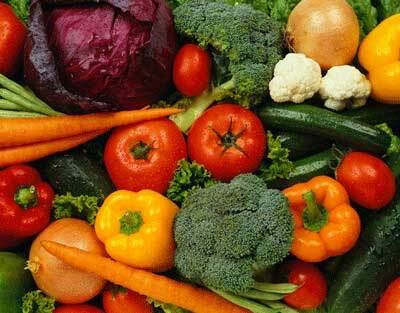 The fruit and vegetables with the strongest colors contain the most anti-oxidants. Vitamin A is one of the major antioxidants. It is found only in foods of animal origin, especially in the liver. However, certain plants contain provitamin A (carotenes), i.e. substances that the body is able to transform into vitamin A. It is essential to the vision and growth of the bronchial tubes, intestines or the skin. Vitamin A is also involved in bone growth, in the synthesis of certain hormones such as progesterone, and in the functioning of immune systems. The recommended daily intake of vitamin A varies according to age. Its deficiency leads to vision problems and eye damage that can lead to blindness. This disease, exophthalmia, affects to varying degrees many children in developing countries. Much research, often contradictory, is underway on the role of vitamin A in the prevention of cancer, including bronco-pulmonary cancer. Vitamin C is one of the most important anti-oxidents. It is needed for the synthesis of blood vessels and muscles. It promotes the absorption of iron in food. It operates in several hormonal mechanisms. It also plays a role in eliminating toxic substances. Finally, it has anti-oxidant, that is to say it would limit the adverse effects of free radicals. A deficiency in vitamin C can reduce resistance to infection. A serious deficiency can cause scurvy, extreme fatigue, pain, and deterioration of the gums. The disease was formerly seen on the boats: the crews lacked fruits and vegetables for months and not getting enough vitamin C.
Vitamin E has a protective effect particularly vis-à-vis the cells of the body. It plays an important role in the mechanisms of reproduction and is involved in the synthesis of red blood cells. Vitamin E deficiency is very rare and is usually the result of absorption problems. Selenium is a trace element involved in the metabolism of free radicals and other substances produced by oxidation of lipids in cell membranes. It also plays a role in metabolism in the liver and contributes to the maintenance of skeletal muscle and heart and sperm. The supply of selenium depends on the content of the soil and varies widely between geographical areas. In parts of Asia where the soil selenium is low, there are deficiencies which can give serious heart problems (Keshan disease ), bone (disease Kashin-Beck), or neuro-muscular. This trace element has an effect on free radicals, which age our cells and prevent them from defending the body against viruses and other invaders. Selium boosts the immune system and fights against cellular aging. Epidemiological studies are underway to better understand the role of selenium. Selenium teams with vitamin E in order to protect cells from damage, and this slows the aging process. It is necessary to keep our eyes, skin and hair in optimum health, and also acts as an anti-inflammatory which means it can be helpful for arthritis patients and for other inflammatory diseases. In order to get enough selenium in your diet include wheat germ, offal, oily fish and nuts, seeds and pulses and use brewers yeast to top up levels. Zinc is a trace element that occurs in many enzymatic reactions and plays an important role in the metabolism of proteins, carbohydrates and lipids. Zinc deficiency may cause growth retardation, abnormalities of sexual maturation, taste disorders, immune problems, skin problems and prevent healing. As it is an antioxidant it plays a role in preventing the toxic effects of free radicals. In moderate inflammatory acne, zinc has demonstrated efficacy equivalent to tetracycline, an antibiotic used in the treatment of acne. All about the Maqui Berry and how it can detox your body, strengthen your immune system and reinforce all the organs of your body, in addition to helping you lose weight,. Informative site about glutathione, its benefits to the body and how it can help diseases, such as diabetes.